When Harry Brewis, better known online by his YouTube nom de guerre HBomberguy, fired up his marathon Twitch stream, his viewers knew right away that he was raising money for a charity that supports trans and genderqueer youth. What they weren’t expecting was a visit from freshman US Representative Alexandria Ocasio-Cortez Sunday night. Hbomberguy’s goal Sunday was to raise $250,000 USD for the UK-based charity Mermaids, which works to provide family and individual support for gender-diverse and trans youth. The game he’d chosen to take on was Donkey Kong 64. 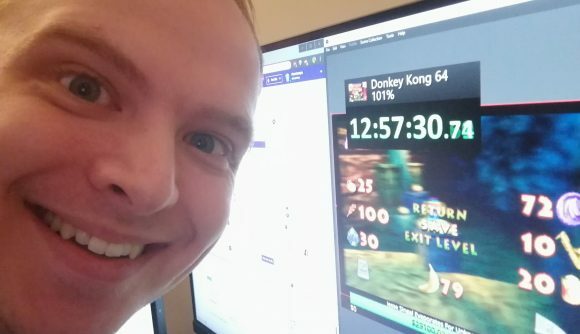 But while Hbomberguy struggled through Donkey Kong 64, Ocasio-Cortez also talked about the economic issues trans people deal with. Income inequality has been a central point of her stump speech since she began her campaign for Congress, but she said that is felt more keenly by members of marginalized communities. “It’s important that we do talk about these issues in the economic frame, but not let go of the fact that discrimination is a core reason for the economic hardship,” she said. Ocasio-Cortez – who at 29 is the youngest member of the House of Representatives – is something of a lightning rod in the US at the moment, partly because of her unabashedly left politics, but also thanks to her skillful use of social media platforms like Twitter. She’s now added Twitch to that portfolio. She’s also a PC gamer – while she had to take a break when her campaign for Congress began, Ocasio-Cortez is a League of Legends player as well. Hbomberguy had raised more than $255,000 for Mermaids at the time of this writing, and also had other guests on the stream, including Mara Wilson (star of the 1996 film Matilda), game designer Josh Sawyer, Chelsea Manning, and Virgil Texas and Matt Christman from the podcast Chapo Traphouse.